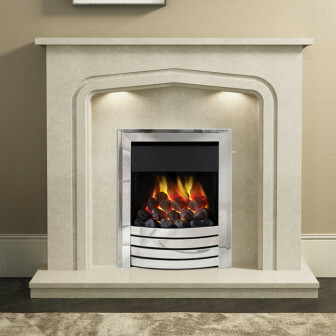 The PureGlow Hanley Marble Fireplace Suite consists of the 54” or 48” Hanley Perla micro marble fire surround, Perla marble back panel, 54” or 48” Perla marble hearth and optional PureGlow Grace gas fire in a chrome, brass or satin finish. 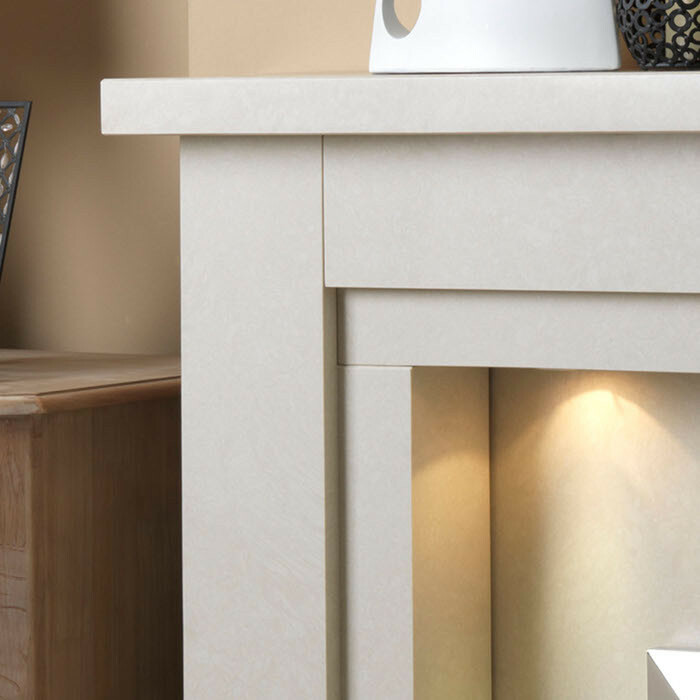 The Hanley marble fireplace has modern styling featuring straight contemporary lines, and is made from micro marble in a Perla finish. Micro marble is an engineered stone, manufactured from crushed marble and specially developed resins. 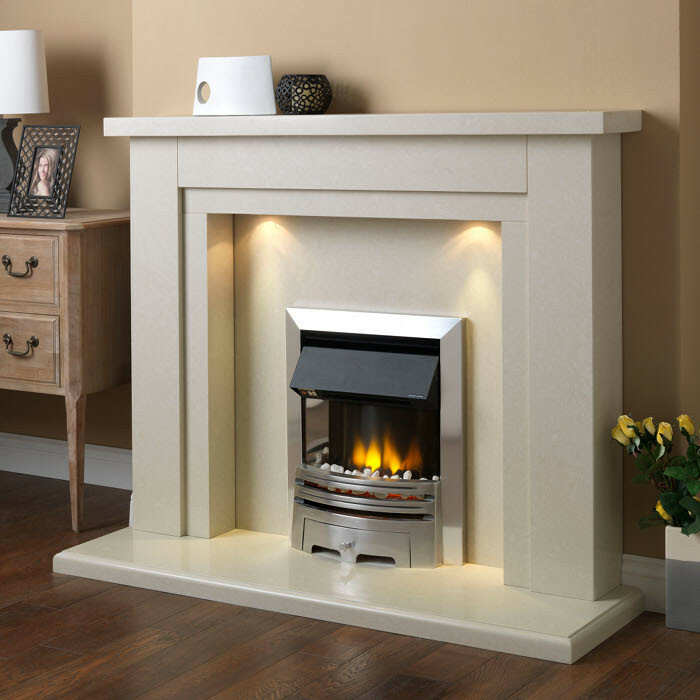 The PureGlow Hanley marble fireplace comes complete with under-mantel downlights, manufactured with long-life LEDs which are mercury free and more energy efficient than traditional halogen bulbs, they provide a sharp flicker-free light accentuating the natural beauty of the marble. 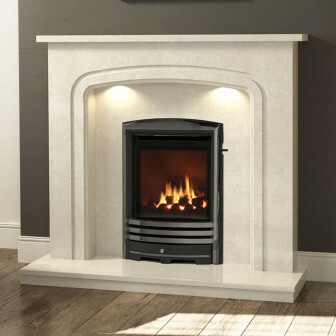 The PureGlow Grace gas fire is available as a 3.1kW slimline (class 2) or 3.8kW deepline (class 1) model.